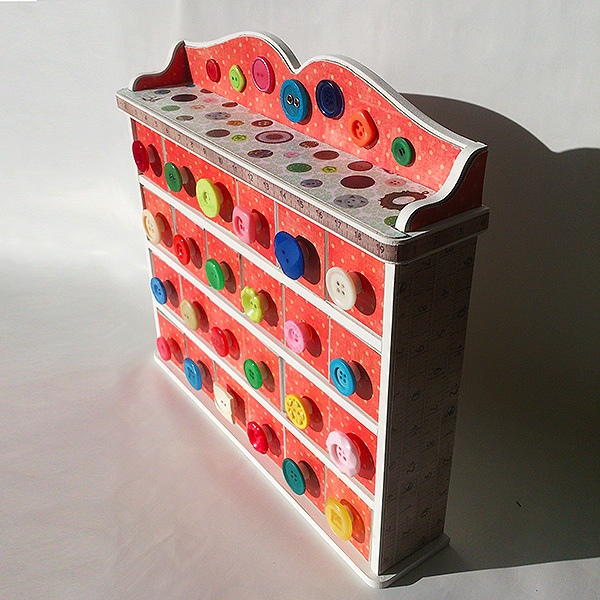 This is Tonic Studios Tivoli unit that I decorated to make a little button storage unit. Did you see it on the 8am show on Create and Craft TV this morning? Further shows are at 11am and 6pm showcasing all the gorgeous MDF units, plus the amazing new clay and moulds . I created the little button handles myself. For more details on how I did that you can check out my blogpost here. 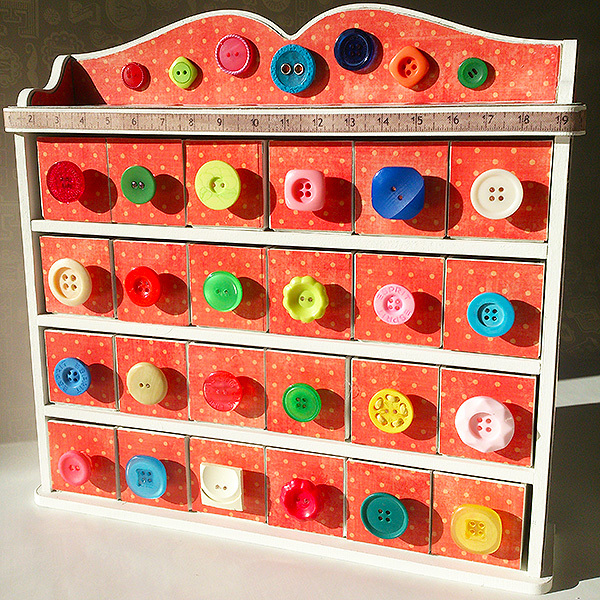 This would be an ideal unit for sorting out all your pretty buttons. 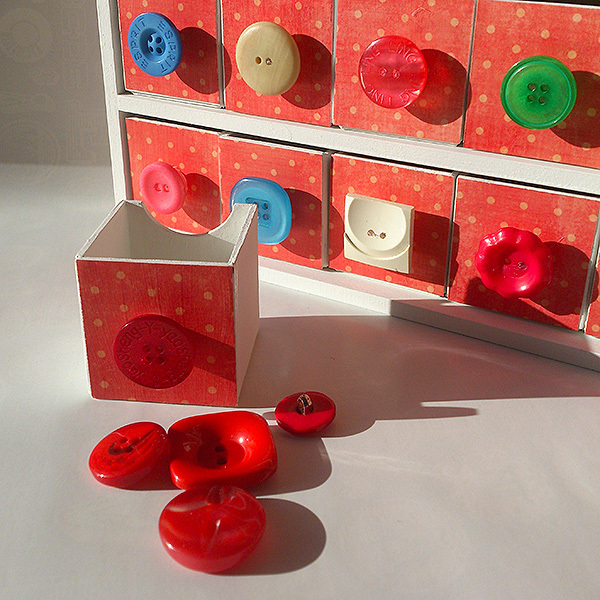 If you used a different colour for each drawer you could sort all your buttons according to colour. I like playing with buttons. Do you?